Hadrian was born on January 24, 76 A.D. He died on July 10, 138, having been emperor since 117. Mementos of Hadrian's reign persist in the form of coins and the many building projects he undertook. 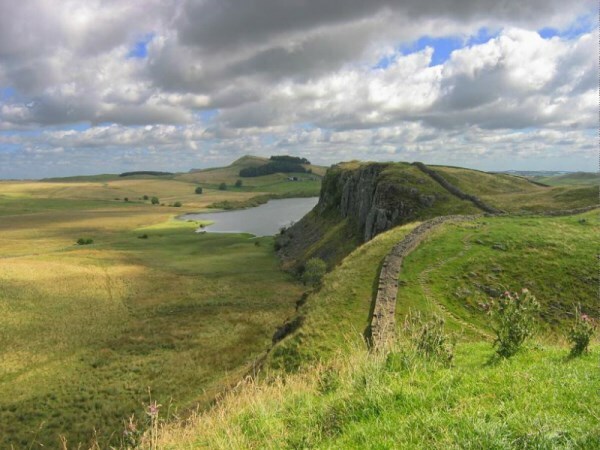 The most famous is the wall across Britain that was named Hadrian's Wall. Hadrian's Wall was built, beginning in 122, to keep Roman Britain safe from hostile attacks from the Picts. It was the northernmost boundary of the Roman empire until early in the fifth century. The wall, stretching from the North Sea to the Irish Sea (from the Tyne to the Solway), was 80 Roman miles (about 73 modern miles) long, 8-10 feet wide, and 15 feet high. In addition to the wall, the Romans built a system of small forts called milecastles (housing garrisons of up to 60 men) every Roman mile along its entire length, with towers every 1/3 mile. Sixteen larger forts holding from 500 to 1000 troops were built into the wall, with large gates on the north face. To the south of the wall the Romans dug a wide ditch (vallum), with six foot high earth banks. 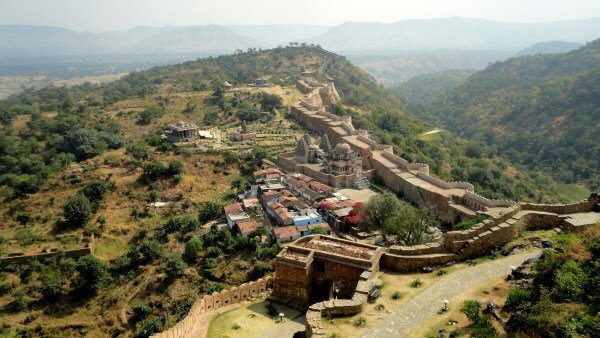 Kumbhalgarh, the second longest wall on earth, can be found in the state of Rajasthan in Western India. Construction of the 36 kilometer wall began with the rule of Rana Kumbha in the year 1443. Situated in the state of Rajasthan in the Northwest of India, work was begun by the local Maharana, Rana Kumbha. It took over a century to construct the wall and it was later enlarged in the 19th century. It worked as a fort until that period, but is now a museum. 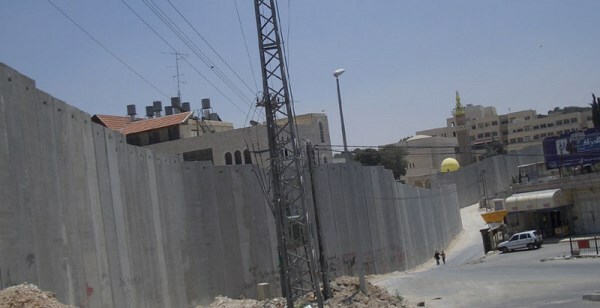 The Israeli West Bank barrier is a separation barrier under construction by the State of Israel along and within the West Bank. Upon completion, the barrier's total length will be approximately 700 kilometres (430 mi). The barrier is built mainly in the West Bank and partly along the 1949 Armistice line, or "Green Line" between Israel and the Palestinian West Bank. According to the Israeli human rights organization B'Tselem, 8.5% of the West Bank area is on the Israeli side of the barrier, and 3.4% is on the other side but "partly or completely surrounded." Beginning in the 7th century BC, a series of massive defensive fortifications were constructed along China's northern border. 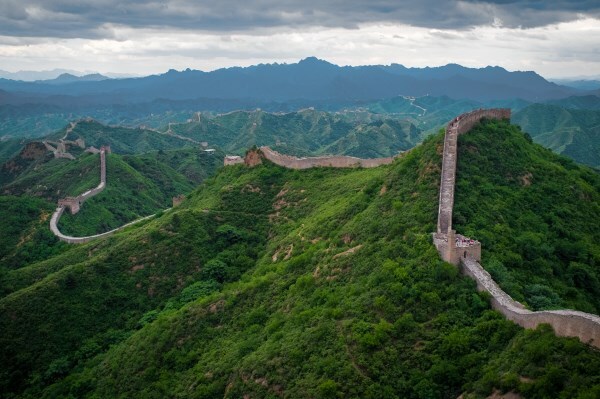 Built to protect China from northern attacks, the walls stretched for thousands of kilometers, many joining together to become the Great Wall of China. Over several centuries, the wall and thousands of supporting structures were built across mountains, deserts, and rivers, eventually stretching more than 20,000 kilometers in length. Sections of the wall near large cities are well-maintained, but many remote areas are slowly being reclaimed by nature. 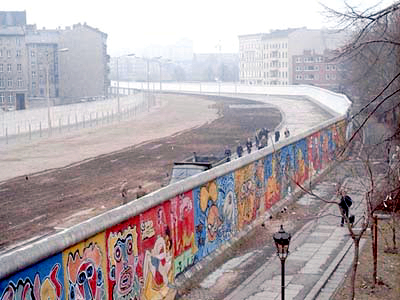 The Berlin Wall was the physical division between West Berlin and East Germany. However, it was also the symbolic boundary between democracy and communism during the Cold War. The Berlin Wall was erected in the dead of night and for 28 years kept East Germans from fleeing to the West. Its destruction, which was nearly as instantaneous as its creation, was celebrated around the world. The Walls of Constantinople are a series of defensive stone walls that have surrounded and protected the city of Constantinople (today Istanbul in Turkey) since its founding as the capital of the Eastern Roman Empire by Constantine the Great. With numerous additions and modifications during their history, they were the last great fortification system of antiquity, and one of the most complex and elaborate systems ever built. Initially built by Constantine the Great, the walls surrounded the new city on all sides, protecting it against attack from both sea and land. 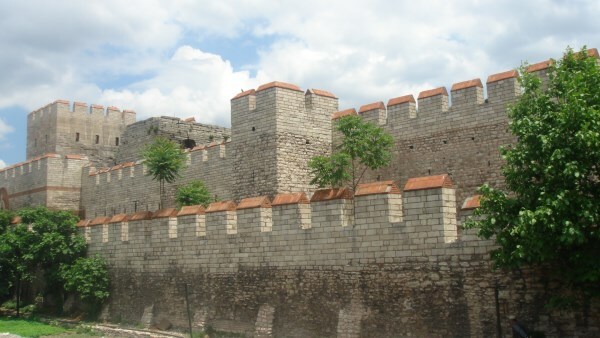 As the city grew, the famous double line of the Theodosian Walls was built in the 5th century. Although the other sections of the walls were less elaborate, when well manned they were almost impregnable for any medieval besieger, saving the city, and the Byzantine Empire, during sieges from the Avars, Arabs, Rus', and Bulgars, among others (see Sieges of Constantinople). The advent of gunpowder siege cannons rendered the fortifications vulnerable, leading to the fall of Constantinople to the Ottomans on 29 May, 1453 after a prolonged siege. The walls were largely maintained intact during most of the Ottoman period, until sections began to be dismantled in the 19th century, as the city outgrew its medieval boundaries. Despite the subsequent lack of maintenance, many parts of the walls survived and are still standing today. A large-scale restoration programme has been under way since the 1980s, which allows the visitor to appreciate their original appearance. Conwy's town walls are a medieval defensive structure around the town of Conwy in North Wales. 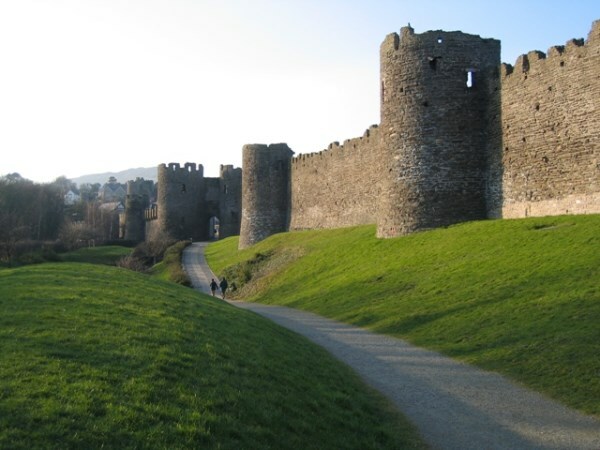 The walls were constructed between 1283 and 1287 after the foundation of Conwy by Edward I, and were designed to form an integrated system of defense alongside Conwy Castle. The walls are 1.3 km (0.81 mi) long and include 21 towers and three gatehouses. The project was completed using large quantities of laborers brought in from England; the cost of building the castle and walls together came to around £15,000, a huge sum for the period. Today the walls form part of the UNESCO world heritage site administered by Cadw. 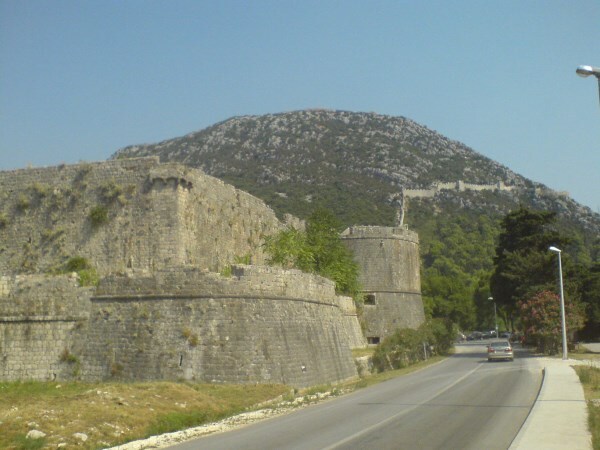 Historians Oliver Creighton and Robert Higham describe the defenses as "one of the most impressive walled circuits" in Europe.